The news spread fast at the Pacific Telecommunications Council (PTC) Conference in Hawaii, where Kacific executives heard about the outage. Kacific already supplied a limited amount of bandwidth on a 1.8 metre dish to a local partner. At PTC, Kacific opened up their suite and access to the satellite connection for Tongan telecommunications providers and Government officials to use as a crisis centre. However, it was clear more bandwidth was needed urgently in Tonga to supply critical services. 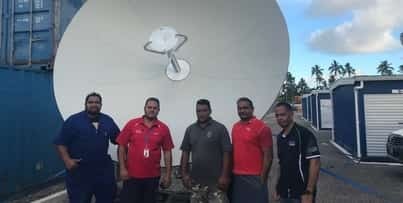 A 3.7 metre satellite terminal dish expected to receive Kacific’s bandwidth had previously been delivered to Tonga, however it had not yet been installed. Within 24 hours a Kacific engineer arrived in Nukuʻalofa to work with the local engineers to align and commission this terminal. This increased the bandwidth to 140 Mbps and it was distributed further through existing networks. 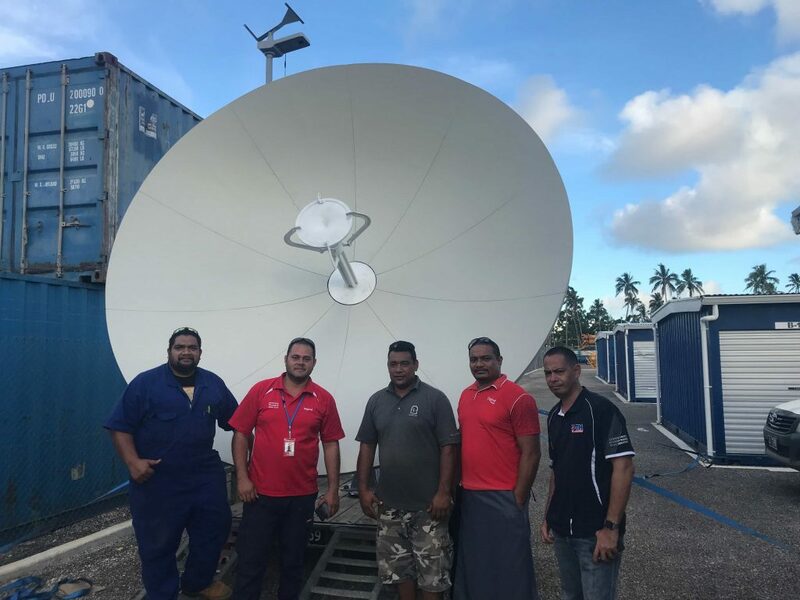 Five additional 1.2m Kacific VSAT terminals were further deployed at critical government locations. Kacific’s fast and highly collaborative response during the fibre cut ensured that bandwidth was provisioned for the most critical applications such as the airport, the reserve bank, Government offices, the cable repairs and the meteorological service. The meteorological service is vital for public safety because it monitors and communicates on natural disasters such as earthquake, tsunamis and tropical cyclones.